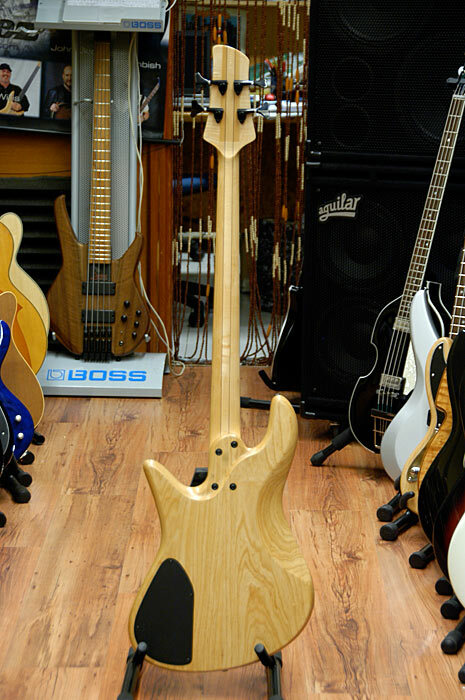 The bass you see here is an Emperor Bolt-on with these specs: 22 frets, 34" scale and Seymour Duncan Single Coil pickups. These specs make the bass produce a tone that is remarkably close to a good old Fender Jazz Bass in passive mode (there's a handy Passive Tone control in passive mode). 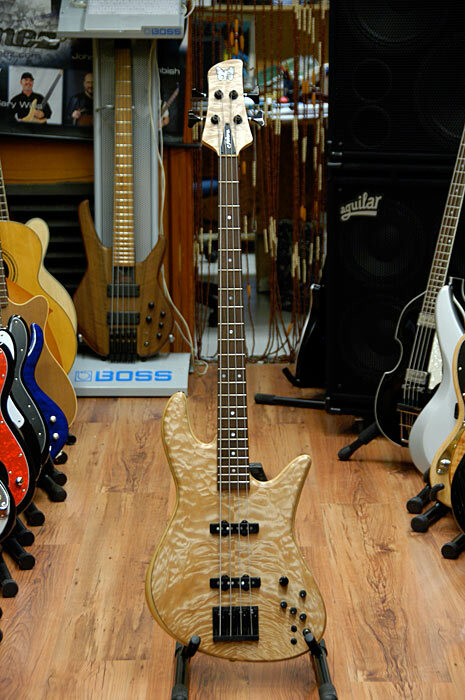 The good news is that this bass blends perfectly Fodera's well known playability and attention to detail with old school vibe. 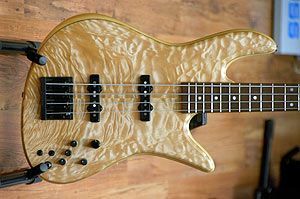 The double cutaway asymetrical body is one of the most comfortable in the business, with traditional design and dimensions, but strategic improvements in several areas. As you might expect, the bass plays like butter so instead of getting in the way of your creativity, it is actually a great allied that will help you develop as a musician. Some of the more notable players of the Emperor Series include Marcus Miller, James Genus, Anthony Wellington, Joey Lauricella, Mike Pope, Kenny Davis, Tommy Shannon... the list goes on and on. But wait, there's more: switch in the Mike Pope active 3 band circuit, and you'll get what's known as "Jazz Bass on steroids": lots of power and punch, plus of course more control for you to adapt this bass to any playing situation. Mike is not just an electronics engineer that is locked in his laboratory. 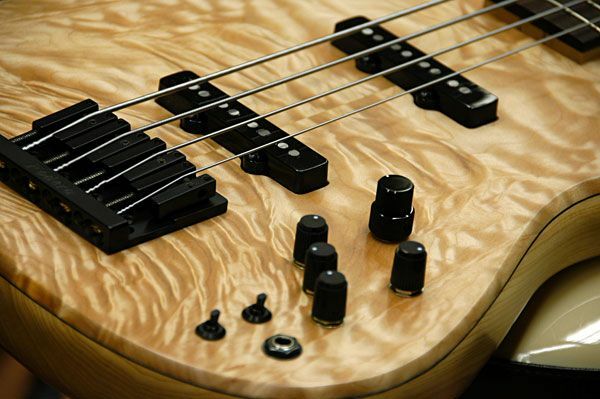 He is an amazing jazz bassist and plays with some of the best musicians in the planet; this gives him a real like knowledge of what a bass player needs when he asks for active electronics. See the pics bellow of Mike at the Fodera booth at the NAMM show and Fodera's 25 Anniversay party. Circuit: Fodera/Mike Pope 3 band with Passive Tone contro.